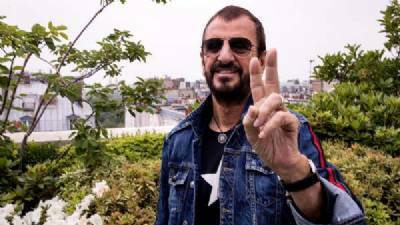 EX-BEATLE Ringo Starr is back in Spain, having not performed in the country since 1965 – a trip he remembers well for reasons other than his gig with the ‘Fab Four’. “I think we went to a bull-fight, and I became vegetarian that very day,” the 78-year-old legend admitted in Paris on the first day of his recently-launched European tour. With a 19th studio album under his belt – Give More Love, released in late 2017 – the Liverpudlian born Richard Starkey within a year of World War II’s breaking out has 21 dates on his concert calendar, with the first in Spain being this coming Tuesday, June 26 in Barcelona as part of the GuitarBcn Festival 2018. Next, on Thursday (June 28), Starr moves on to Madrid where he will hit the stage in the WiZink Centre, before heading north-west to A Coruña for a gig on Friday, June 29 at the Coliseum. His first musical trip to Spain in 53 years will end in Bilbao’s Euskalduna Palace with a show on Sunday, July 1. “I don’t know why that happened,” Starr said when asked about his not having performed in Spain in over half a century. “I’m not in charge of designing the tours, but it’s definitely strange. There have been numerous Spanish fans who, in all this time, have found me and asked me when I was going to go there. Ringo Starr – who became famous as the voice of Thomas the Tank Engine on British TV after The Beatles ended – has not been on tour in Europe for seven years, either, but the forthcoming dates are expected to be a complete sell-out. He will be on stage with his group, The All Starr Band, accompanied by top guest instrumentalists who include Graham Gouldman of 10cc and Colin Hay of Men At Work. Starr wanted to be a musician from the age of 13 when he saved up and bought his first guitar, and says he feels ‘blessed’ that his dream came true at just 18, and ‘as part of the best band on the planet’ as The Beatles was considered at the time and, some would argue, even now. Recently knighted, Starr – now an OBE – says he ‘could not help a twinge of sadness’ at remembering the last time he attended the Queen’s honours award ceremony. “I remember that the previous time I was there in a similar situation, we were four,” Starr admits. John Lennon was famously shot by an obsessed fan, and more recently, George Harrison – who enjoyed a successful post-Beatles solo career which included the epic album Cloud 9 – passed away from cancer. But the surviving half of the band have worked together on the album Give More Love – McCartney, himself also an acclaimed solo singer, has joined his old band mate for some of the tracks. Inevitably, during the interview in Paris, Starr was asked about Roger Waters’ being against musicians performing in Israel, where Ringo himself has two dates planned over the next few weeks. He said: “There are many people both for and against, but I’m not a politician and what I want to do is preach peace and love all over the world,” a statement he punctuated with a ‘V for Victory’ sign. Also, as could be expected, Starr was asked about his views on Brexit, and showed he was one of the few Brits in the arts and entertainment industry who is not strongly against it. “I wasn’t in the country when it happened, but that’s democracy for you,” he said. “Lots of people died in the past so we could have the right to vote, but now there are lots of other people who are disagreeing with the results of this vote. I don’t share their views. What I support is that people did in fact go out and vote,” Starr admits. Pro-European campaigners, including Bremain in Spain, In Limbo, SODEM and Britain in Europe point out that the vote was not democratic because millions of adults who would be directly affected, including EU nationals living in the UK and Brits living in Europe who have not been UK residents in over 15 years, plus adults aged at least 16 but not yet 18 were denied the opportunity to vote in the referendum – and their ballots, largely in favour of Remain – would almost certainly have changed the outcome. They also believe democracy does not enter into the post-referendum process, since London and other large cities, Scotland, Northern Ireland and Gibraltar voted overwhelmingly to Remain, but will be forced to leave along with England and Wales, and additionally, the pre-referendum campaigns were not based upon fact. Pro-European associations across the continent, many of whose members hit the streets in London yesterday (Saturday) for the People’s Vote protest, worry that a high number voted Leave because they genuinely believed the UK would save 350 million pounds a week that would be redeployed for the NHS as the Leave brigade’s bus claimed – a team which since clarified this would not be the case at all.